I'm not feeling well today, but I've got all kinds of things swirling around in my head that I want to get out before the weekend. So here goes nothing. I pray it all makes sense. The first two subjects I DESPERATELY want your opinion on. First, I finished making the above bracelet this morning. As I was making the little text donuts I found myself REALLY enjoying the process. I posted that picture on facebook earlier today and had a comment or two about them. As such, I'm considering possibly making more to sell in the shop. What do you think? I should probably do some research first to see what the market for these currently is. But, I'd love to hear your opinion. Secondly. . .Pat and I have been watching a lot of Food Network lately. He's more of a Good Eats fan while I enjoy Chopped more. Anyway, as I was watching a Chopped marathon the other week, I was struck with an idea. Now, I don't know if you are familiar with the show or not. . . but basically chefs are given a mystery basket of ingredients that they MUST include in a dish. It starts with four chefs and one is cut each round. There's an appetizer, entree, and dessert rounds and three very picky judges. But, that's not important. What interests me in this context is the MYSTERY BASKET. I was thinking how fun it would be to send out a few mystery baskets of my own design and see what the jewelry chefs out there can create. Now, if you've seen the show you know that the items in the mystery baskets are not your run-of-the-mill ingredients. Often they include something(s) the chefs have never heard of or have no idea how to even cook/use. I'm not interested in the judging or 'chopping' portion of the show, just the mystery basket and creation portions. This probably has a lot to do with the anticipation that's going on right now with all the Bead Soup. In any case, would anyone at all be interested in joining up for this? As you can probably tell, I haven't thought this through completely. I just figured I'd through it out there and see what kind of response I get before I do anything else. Let me know! There's quite a few giveaways flying around this week that I need to go ahead and let you know about. 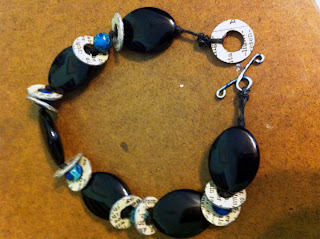 Sweet Therese from Therese's Treasures has hit 50 followers on her blog and is giving away a pretty bracelet. 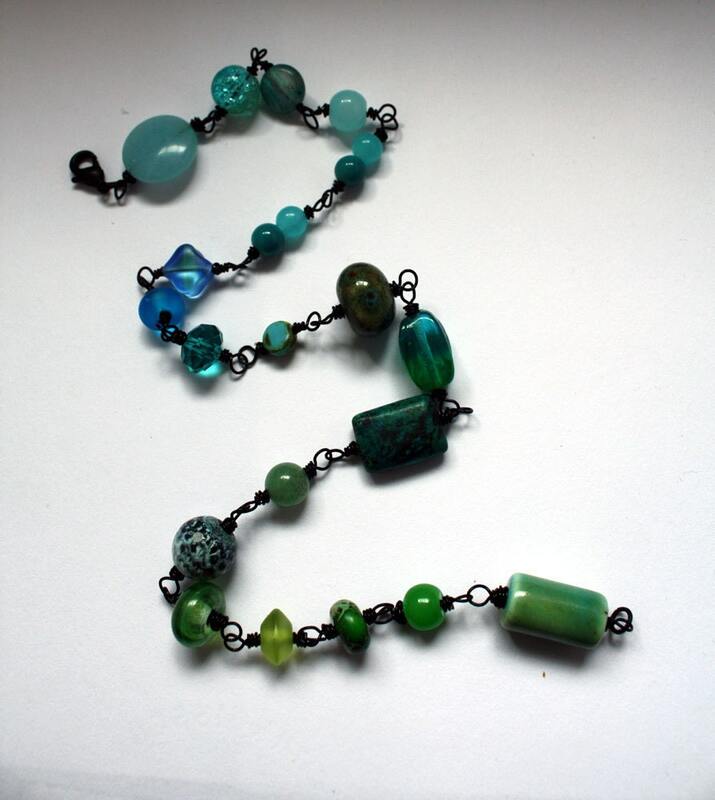 The Vintaj blog has a beautiful collection of Kylie Parry Studio Beads and Vintaj findings up for grabs. Finally, there are yet another couple of items that have been added to the SALE section of the shop. Now that I've gotten all that out of my system I'm feeling a bit better. Here's to a fantastic weekend ahead! Please, please, please let me know how you feel about the text donuts and the jewelry-maker's version of chopped. Please! The text donuts are really cool and would probably go well in the shop! I LOVE chopped (I'm a food network junkie all the way, Chopped and Good Eats (love Alton Brown) and I think it would be incredible fun to do "mystery jewelry baskets"! Just wanted to clarify, that I meant the rambling in reference to your post the other day about long ones! I felt like I was rambling on...hope I didn't offend, didn't mean for it to sound that way! The text donuts are great and I think you should go for it! Chopped is my favorite show on TV right now. I'm totally in!!! I like the text donuts too. What material are they made of? They would be great encased in resin too. As a marketing strategist I would say: don't do too much research. Just put it up in your shop and see how well they go. Let that be your research. As to the mystery box ... I am game. I always watch Masterchef Australia (I live in Holland) and they do great mystery boxes there too. Hope, the little text donuts are pretty darn neat. I like the mystery box idea and would be willing to play. 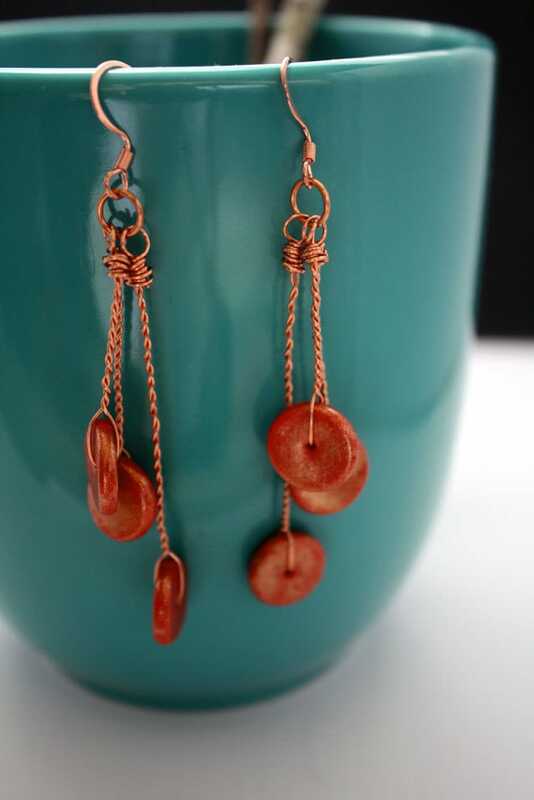 Thank you for posting my giveaway, and I am drooling over the copper disk earrings. I love Chopped! I think it's a great idea and if you go with it - count me in! How cute are those text donuts?!? i love the donuts! i think they would be good sellers in your shop. never saw the show but the idea is fantastic---it would be exciting to see what goes out to people and what comes out of it. run with it! I second Christine- the donuts are great, and I think you should go for organizing the "Chopped: Jewelry Edition"- people love parties, they just need a hostess, and I think you'd be great! I like the text donuts. I've been thinking about putting text on the back of a pendant I'm working on. I believe they will sell in your store. Thanks for the link to my giveaway!